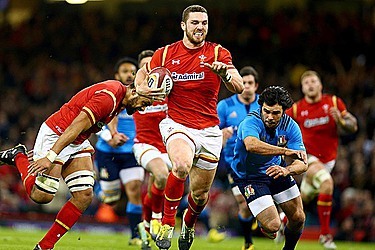 Ideally for Wales, it will get in and get out of Rome with a bonus-point win on Sunday. The Welsh need to hit the ground running against Italy because they have only a six-day turnaround before their Six Nations will be defined by the visit of defending champion England in Cardiff next weekend. Recent history suggests Wales will enjoy a romp at Stadio Olimpico. The last time it was in Rome, Wales won 60-21 on the last day to put pressure on Ireland's title bid. Ireland prevailed on points difference in a three-way tie for first. Then last year, on the last day again, Wales put a record 67-14 hurt on Italy in Cardiff a week after blowing its championship hopes at Twickenham. "We know that the last two matches against them were very difficult for us, but we're focusing on ourselves, on the work we have to do," Italy coach Conor O'Shea said. 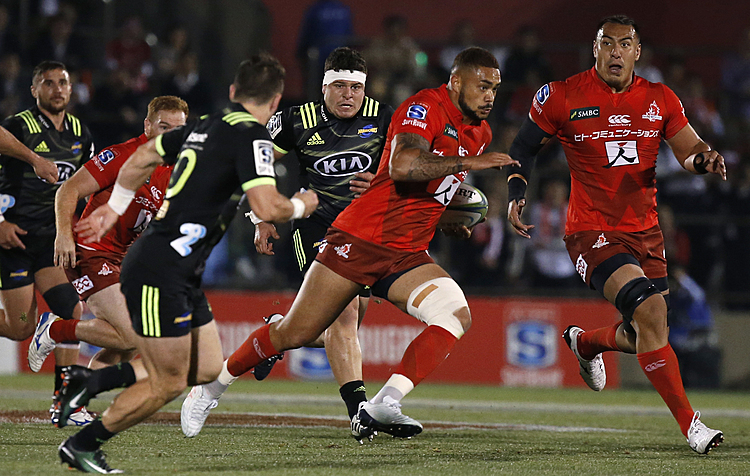 "We have to impose our game plan on them and, at the end of the 80 minutes, we'll see." O'Shea took over Italy in April to try and pull off one of the greatest repair jobs. The former fullback helped a mediocre Ireland reach the 1999 Rugby World Cup quarterfinal playoffs, and lifted Harlequins from irrelevancy to the 2012 English Premiership title. Restoring Italy to its pre-Six Nations high standard will take a monumental effort, but he's already produced results. "We have to focus on our performances, to be the best Italy team possible," O'Shea said. "Above all, to guarantee 400 minutes of great performances (in the Six Nations), to be in the game right until the end of every one of the five matches. "Plus, we've already shown we know how to win matches." That would include the historic first win against South Africa last November in Florence. But Wales also beat South Africa a week later in Cardiff, for only the third time ever. Like Italy, Wales made five changes to the team which beat the woeful Springboks, including recalls for tighthead prop Samson Lee, flanker Sam Warburton and scrumhalf Rhys Webb after their injuries. Warburton is on the blindside flank, and relieved of the captaincy he held for a record 49 tests. Lock Alun Wyn Jones will lead Wales as its regular skipper for the first time. The switch in leadership has been seamless, and Wales should also be too smooth for Italy for a 10th straight time in the championship. "I was just thinking back to when we have started tournaments well and achieved momentum," interim coach Robn Howley said. "That's our goal, to go over there and start this tournament well. "The side that's been selected has about a 70 percent winning ratio in the Six Nations. They know what winning looks and smells like in the Six Nations, and that's the challenge on Sunday." Italy: Edoardo Padovani, Giulio Bisegni, Tommaso Benvenuti, Luke McLean, Giovanbattista Venditti, Carlo Canna, Edoardo Gori; Sergio Parisse (captain), Maxime Mbanda, Abraham Steyn, George Biagi, Marco Fuser, Lorenzo Cittadini, Ornel Gega, Andrea Lovotti. Reserves: Leonardo Ghiraldini, Sami Panico, Pietro Ceccarelli, Joshua Furno, Francesco Minto, Giorgio Bronzini, Tommaso Allan, Michele Campagnaro. Wales: Leigh Halfpenny, George North, Jonathan Davies, Scott Williams, Liam Williams, Dan Biggar, Rhys Webb; Ross Moriarty, Justin Tipuric, Sam Warburton, Alun Wyn Jones (captain), Jake Ball, Samson Lee, Ken Owens, Nicky Smith. Reserves: Scott Baldwin, Rob Evans, Tomas Francis, Cory Hill, James King, Gareth Davies, Sam Davies, Jamie Roberts. 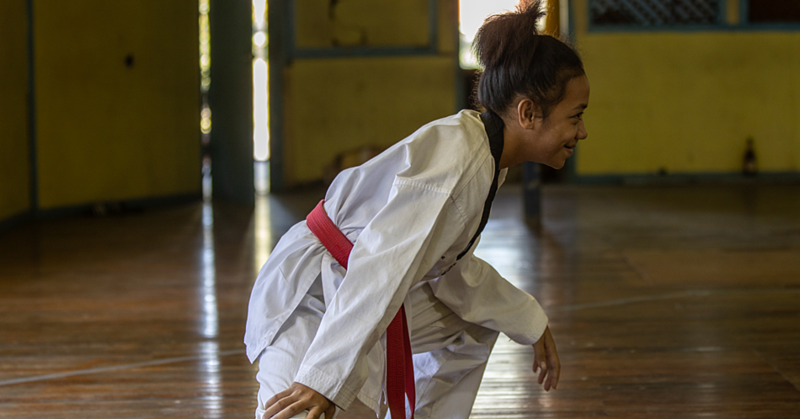 Theresa Magele (16) of Taufusi will make her competitive taekwondo debut when she represents Samoa at the Pacific Games.